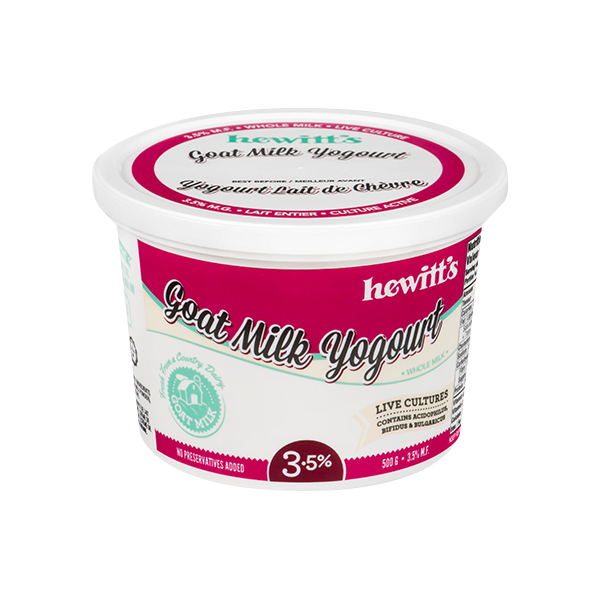 Hewitt’s yogourt is a wholesome natural product made with Canadian milk and without the use of additives or preservatives. 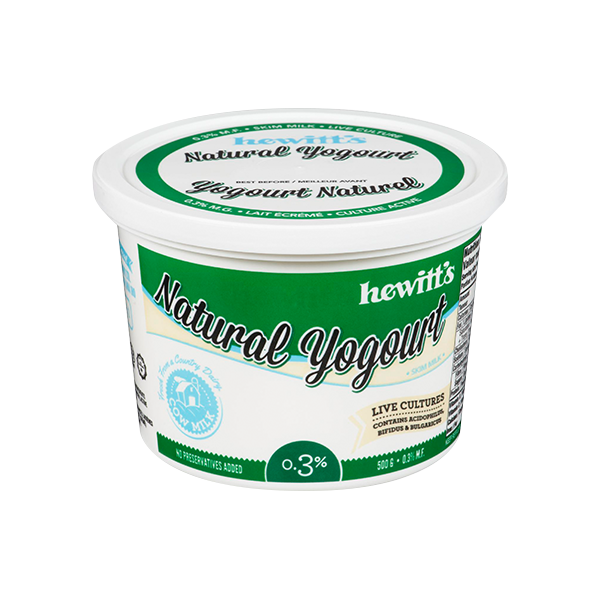 Hewitt’s whole yogourt is a wholesome product made without the use of additives or preservatives. The fat content is over 3.3%, creating a rich, decadent product with a smooth, full bodied texture and traditional flavour. USES: Hewitt’s whole yogourt is a satisfying and nutritious product which can be eaten as a snack, dessert, or as a topping for your favourite fruit or cereal. It may be used as an ingredient in many recipes including smoothies. Milk, skim milk powder, bacterial cultures. Hewitt’s 2% yogourt is a wholesome, natural product made without the use of additives or preservatives. The fat content is 2%, making it a rich, yet lower fat alternative for those who do not want the fat content of whole milk yogourt. 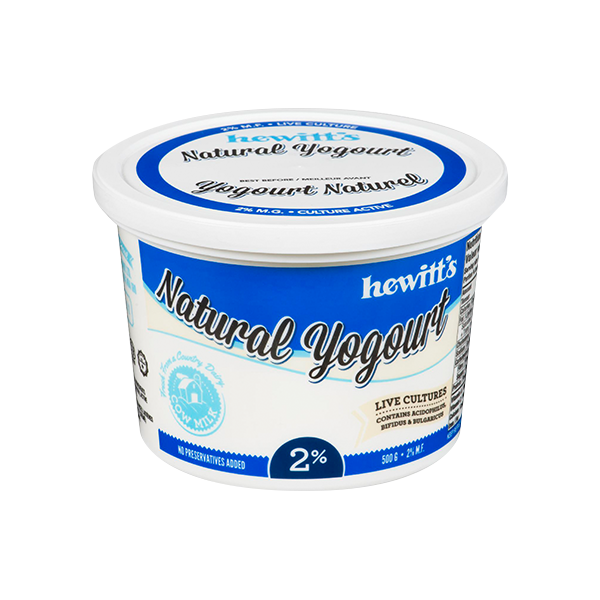 USES: Hewitt’s 2% yogourt is a delicious, satisfying and nutritious product (without the high fat content) which can be used as a dessert, a snack, or as a topping on fruit/cereal. It may be used in any recipe calling for yogourt. Hewitt’s skim milk yogourt is a wholesome natural product made without the use of additives or preservatives. The fat content is below 0.40% making it an ideal product for those individuals wishing to reduce their fat intake. USES: Hewitt’s skim milk yogourt is a delicious, nutritious, and satisfying product (without the fat) which can be used as a snack, an ingredient, a dessert, or as a topping for your favourite fruit or cereal. Milk ingredients (milk, skim milk powder), active bacterial culture.